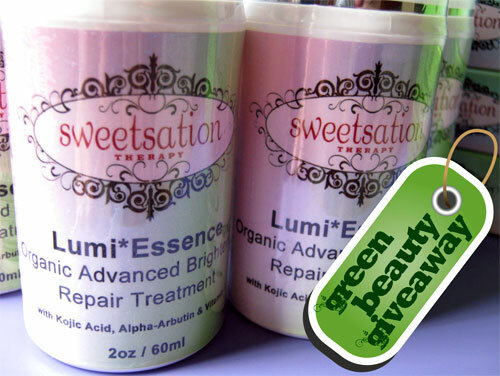 Remember Sweetsation Therapy, the USA based online beauty store that sponsored very generously for the recent VivaBella Green Beauty Box Giveaway? Well, besides the giveaway items, Natalia, the owner of the store, had sent me a couple of her products to try as well. Included were the C*Perfect Skin Organic Foaming Face Cleanser , the I*Light eye cream, the Very*Berry Organic Oxygen Masque & Scrub, and the Sun*Si’Belle Organic Triple Action Moisturizing Sunscreen SPF 30+, tinted. For those who missed my earlier introduction on the brand, Sweetsation Therapy has developed a range of skin care products that are affordable, safe and effective for both mothers and babies. Their products contain the best of natural active ingredients, such as superberries, CoQ10, Caviar, Pearl, Silk and many others that are free of artificial additives. Some of you may also recall my review of their Sun*Siâ€™Belle Organic Triple Action Moisturizing Sunscreen SPF 30+ that is highly rated by EWG as amongst the best sunscreens for the past three years. Ingredients: Purified Water, Saponified Organic oils of Cocos Nucifera (Coconut Oil), Organic Helianthus Annuus (Sunflower), and Organic Castor Seed, Kosher Vegetable Glycerin, Guar Gum, Juglans regia (Walnut) Seed Oil , Organic Argania spinosa (Argan) Oil, Organic Salix nigra Extract (Black Willow Bark), Pyrus Malus Extract (Apple), Citrullus lanatus Extract (Watermelon), Fragaria vesca Extract (Strawberry), Musa spp Extract (Banana), Carica Papaya (Papaya), Organic Urtica Dioica (Nettle), Organic Matricaria Recutita (Chamomile), Organic Calendula Officinalis (Calendula), Pogostemon Cablin (Patchouli Essential Oil), Organic Ganoderma Lucidum (Reishi), Sodium Ascorbyl Phosphate (Stable Vitamin C), Hyaluronic Acid, Cucumis Sativus (Cucumber), Organic Camellia Sinensis (Green Tea), Macrocystis Pyrifera (Kelp), Citric Acid, Rosemary Seed Extract. This foaming cleanser contains a combination of goodies such as papaya, strawberry, apple, banana, black willow bark, cucumber extract, green tea, and vitamin C to help keep our skin well cleansed and refined. It also helps reduce freckles or brown spots, and generally aims to give us a clearer skin. Having used the cleanser for a few weeks now, I find that it does provide some skin brightening effects. I also noticed that some spots on my face have faded somewhat. But then again, I do want to clarify that I use my own yogurt mask every other day so there might be some cumulative effects there too. This is a foam cleanser without SLS or SLES that cleanses very thoroughly. I always use a milk cleanser to remove makeup so I can’t say if this cleanser removes makeup. However, it definitely removes all traces of oil, dirt and impurities. I actually had to get use to the squeaky clean feeling when I started using this but overtime, took no notice of that since it left my skin soft and non-drying. This is described as scent free but it does have a faint smell from the natural ingredients, which I can’t describe except that it isn’t unpleasant. However, I don’t like the pump bottle because I found myself having to exert more strength just to pump out the cleansing foam. The good thing is, I don’t need a lot of the foam each time and so the 210ml bottle at US$32 is value for money! I’ve been really excited about this one but I can’t give a proper review of this product now. The reason is because I’ve been using a couple of other eye products almost at the same time and I think it’s too unfair to give a rating to this without trying it exclusively for a period. But as you can see, the product contains a ton of ingredients! Woah…and many of them are great for smoothing out fine lines and wrinkles, de-congesting and lightening the eye area, as well as reduce puffiness. The texture is cream like but it is not greasy and I found it to be comfortable to use at night. 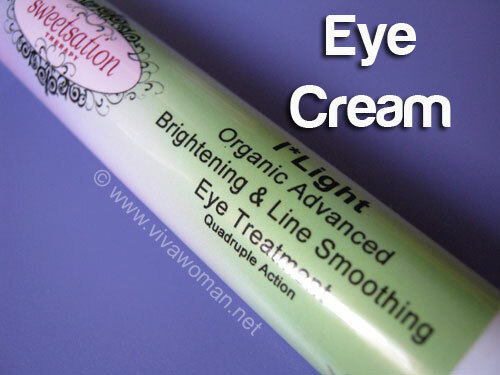 Although I can’t give a rating to the product now, but some immediate benefits I noticed after using this product are a brighter, and more moisturized eye area – after continuously using it for a few nights. Ingredients: Purified Water, Organic Barbadensis Leaf Juice (Aloe), Organic Helianthus Annuus (Sunflower Oil), Glyceryl Stearate, Kosher Vegetable Glycerin, Octyl Palmitate, Organic Cocos Nucifera (Coconut Oil), Theobroma Cacao (Cocoa Butter), Cetyl Alcohol, Bentonite, Kaolin, Potassium Stearate, Organic Beeswax, Apricot Kernel Meal, Methylsulfonylmethane (MSM), Juglans Regia (Walnut) Shell Powder, Citrus Paradisi (Pink Grapefruit) Essential Oil, Oryza Sativa (Rice) Bran, Organic Simmondsia Chinensis (Jojoba Oil), Calophyllum Inophyllum (Tamanu Oil), Vitis Vinifera (Grape) Fruit Extract, Actinidia Chinensis (Kiwi) Fruit Extract, Pyrus Malus (Apple) Fruit Extract, Fragaria Vesca (Strawberry) Fruit Extract, Vanilla Planifolia (Vanilla) Oil, Ananas Sativus (Pineapple) Fruit Extract, Organic Lycium Barbarium (Goji Berry) Fruit Extract, Organic Vaccinium Macrocarpon (Cranberry) Seed Oil, Vaccinium Angustifolium (Blueberry) Oil, Sodium Ascorbyl Phosphate (Vitamin C), Hyaluronic Acid, Organic Ganoderma Lucidum (Reishi), Euterpe Oleracea (Acai) Berry, Myrciaria Dubia (Camu-Camu) Fruit Extract, Organic Rubus Idaeus (Raspberry), Macrocystis Pyrifera (Kelp), Organic Avena Sativa (Oat), Mel (Honey), Organic Vinca Major (Periwinkle), Punica Granatum (Pomegranate) Extract, Carica Papaya (Papaya) Fruit Extract, Organic Borago Officinalis (Borage) Oil, Organic Linum Usitatissimum (Flax Seed) Oil, Organic Oenothera Biennis (Evening Primrose) Oil, Organic Rosa Canina (Rose Hip) Oil, Panthenol (Vitamin B5), Jasminum Grandiflorum (Jasmine) Absolute, Allantoin, Organic Arnica Montana (Arnica) Oil, Organic Lavandula Angustifolia (Lavender) Flower Oil, Organic Calendula Officinalis (Pot Marigold) Extract, Organic Anthemis Nobilis (Chamomile) Oil, Vitis Vinifera (Grapeseed) Oil, Macadamia Integrifolia (Macadamia Nut) Oil, Ascorbic Acid (Vitamin C), Sodium Carbomer, Phenoxyethanol, Ethyl Hexyl Glycerin. Okay, this is my favorite of the lot sent to me. Why? Because it smells wonderful like the name suggest and it is both an exfoliator and a masque. Again, this product contains a ton of ingredients, including 10 super berry/fruit ingredients, and so it does smell berry-like. I was sent a sample size and found this to be great to use weekly to give my skin a deep cleanse. The texture is pretty fine and so if you use this as an exfoliator, you won’t feel like it’s a hard scrub. But the thing I’ve noticed is that I get this tingling sensation on my skin while I leave it on as a masque, so I suppose it’s doing something good for my skin always feels fresh and rejuvenated after using this. Ingredients: Deionized Aqua (Water), Organic Aloe Barbadensis Leaf Juice (Aloe), Ethylhexyl (Octyl) Palmitate, C12-15 Alkyl Benzoate, Kosher Vegetable Glycerin, Glyceryl Monostearate (Plant Derived), Sclerotium Gum, Cetearyl Alcohol (Plant Derived), Persea Gratissima (Avocado) Oil Unsaponifiables, Magnesium Ascorbyl Phosphate (Stabilized Vitamin C), Glycine Soja (Soybean) Lecithin, Iron Oxides, Helianthus Annus (Sunflower) Seed Extract, Organic Camellia Sinensis (Green Tea), Behenyl Alcohol, Stearic Acid (Plant Derived), Cetyl Alcohol (Plant Derived), Citrus Paradisi (Pink Grapefruit) Essential Oil, Vanilla Planifolia (Vanilla) Oil, Polysorbate (Plant Derived), Allantoin (Comfrey Root Derived), Tocopherol (Vitamin E/Antioxidant), Sodium Carbonate Hydroxide, Organic Centella Asiatica (Gotu Kola), Macrocystis Pyrifera (Kelp), Spirulina Maxima (Spirulina), Prunus armeniaca (Apricot) fruit extract, Fragaria Vesca (Strawberry) Fruit Extract, Citrullus lanatus (Watermelon) fruit extract, Pumila Mill (Apple) fruit extract, Caviar Extract, Organic Argania spinosa (Argan) Oil, Rubus Idaeus (Raspberry Seed Oil), Co Q10, Lavandula Augustifolia (Lavender Essential Oil), Butyrospermum Parkii (Shea Butter), Hyaluronic Acid, Alpha-Arbutin, Kojic Acid, Helichrysum Italicum (Helichrysum Essential Oil), Organic Ganoderma Lucidum (Reishi), Vitis Vinifera (Grape) Seed Oil, Organic Cannabis Sativus (Hemp) Seed Oil, Hippophae Rhamnoides (Seabuckthorn) Oil, Calophyllum Inophyllum (Tamanu) Seed Oil, Methylsulfonylmethane (MSM), Euterpe Oleracea (Acai), Vaccinium Macrocarpon (Cranberry) Seed Oil, Carica Papaya (Papaya) Fruit Extract, Cucumis Sativus (Cucumber) Fruit Extract, Jasminum Grandiflorum (Jasmine) Absolute, Organic Rosa Canina (Rosehip) Seed Oil, Cucurbita Pepo (Pumpkin) Seed Oil, Limnanthes Alba (Meadowfoam) Seed Oil, Organic Carthamus Tinctorius (Safflower) Oil, Xanthan Gum (Natural Thickener), Phenoxyethanol, Ethylhexyl Glycerin. Besides the sun protection properties, this product comes with plenty of age-defying ingredients. 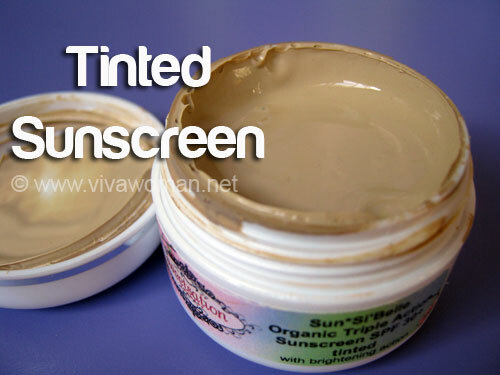 I wasn’t thinking too much about this product when I tried it on, expecting it would be similar as my experience with their Sun*Siâ€™Belle Organic Triple Action Moisturizing Sunscreen SPF 30+, except perhaps for the tint. However, surprisingly, this one turns out to be a little drying for my skin. When I did a check, I realized that the ingredients list is slightly different from the one non-tinted version I’ve tried in 2010. Then, I was also using a moisturizer beneath but now, I use this over my face oil so I guess that’s why my forehead and cheek areas turned out oilier after a few hours (skin secretes more oil when it is dry). Other than that, this product has a nice texture and is easy to apply. I remember the non-tinted version did not leave any whitecast for me and I suppose that’s why this product has received tons of raves from customers. I guess my skin might have reacted better if I used a moisturizer beneath but hey, I just prefer my facial oil for now. I like that the range is affordable and their products contain a lot of goodies. But at the same time, I don’t really fancy long ingredient list as I find them too complicated for my liking. However, I also know that some customers will probably take that as being value for money! Another thing I noticed about the brand is that their packaging is rather one-of-a-kind. You don’t get the fanciful designs, nor do they come in glass bottles; in fact, the company uses minimal packaging and even has a recycling system in place where customers can return their used Sweetsation packaging to receive a coupon or samples. Kind of cool, according to some readers who commented about this in the giveaway post. Okay, those of you who like to give the brand a try can still enjoy the 20% discount that Natalia has extended for my readers. Just use the code â€œvivaâ€ during checkout! They do ship internationally outside of US. Previous Post: « Share: do you like to get your skin analyzed? I’ve been using their eye cream lately at night and occasionally in the day time. I apply a very very small amount on my eyelids and just the upper part of my dark eye circles. Been having milia seeds for the longest time ever and I don’t know how to get rid of time. It’s been keeping the eye area really nice and supple. Texture is great, leaving a thin oily film. The pump for it is really cute though however it’s hard to control the amount of cream. I usually just use my pinky finger for hygiene purposes instead of the cool applicator tip. I’m not too sure about the brightening effects yet as I have eternal dark eye circles. Been trying to make changes to my diet and water intake to make it better. the mask and foaming cleanser looks good. 🙂 I’ve been wanting to switch back to whitening/brightening type of skincare for a long time. Been having occasional breakouts so often it wouldn’t be good to start on that. shall try that once I have used up most of everything I have now. Better to have fresh products! Oh…glad to learn you’re using their eye cream too. I noticed some brightening but my dark circles is still evident. But my major issue is more of puffiness. 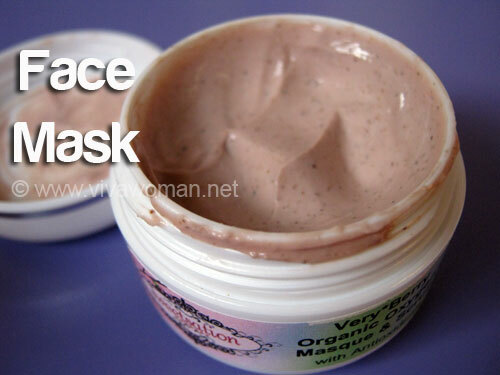 Give the masque a try if you like…I find it great for me although I tend to use more DIY mask. ah puffiness would be easier to handle. I have pale skin with no puffiness and dark dark eye circles from young. I blame the genes :/ I’m a panda all the time. I drink lots of water and sleep many many hours. But it doesn’t go away. It’s likely more of an internal issue. I remember when I was taking a product that boosted my blood circulation, my dark circles were less evident. Are you kidding me with the long list of ingredients? After the first five or six ingredients, I have serious doubts they include a high enough concentration of any other ingredient to actually provide any benefit to the skin. Did they forget the kitchen sink? Natasha/Miss Vinny: Yes, I do think their ingredient list is way too long and it’s something that sticks out for me. As a consumer, I probably won’t read after the first two rows. It was also something I mentioned I dislike with the first product I reviewed. I’m curious… why do you think their ingredients list is so long? It’s more like they’re wasting the ingredients since they could halve everything and be a lot more potent. Btw, must have taken you really long to type that out! I have no idea as I’m no expert in product formulations but I suppose they do add up to the performance. I’m thinking they also look good for the price? I read all the posts here about sweetsations long ingredient lists in their products and I was a little surprised. I know everyone has a right to voice their opinions and I respect that. However, I have been a consumer of the products for over 2 years now and I think they are amazing. The majority of the products available on the market from cheap to expensive are products I have tried and cannot use. Some ad really long ingredients, longer than sweetsation, and some had shorter ingredients. I know I don’t care about the length of the ingredient lists because for the first time in my life I could use sunscreen with out my eyes swelling or my getting itchy or getting overpowered by fragrances and chemicals. I searched and spent endless amounts of money trying to find a product that would work for me. I stumbled upon sweetsation and glad I tried it. I use their spf30 and 50, berry scrub, hand and body cream, and face cleanser. I love all of them and don’t even want to think about a time when they are not available for me to buy because that would mean I would be stuck with having to search again. Honestly, I think I would just stop using spf all together if sweetsation products weren’t available. I almost did stop before I stumbled on them. They are amazing and allow me to enjoy the outdoors, I don’t care about the ingredient list being long, they work and are definitely safe and chemical free. I know I am not the only person in this world with the same sensitive issues and I hope they stumble on the products as well, I really do!! Hi Elizabeth: As a frequent reviewer of products, I have to say that it is hard to find a product that pleases all. Even from a reviewer standpoint, there are usually pros and cons and much depends on the person’s preference too. It just appears that more people wanted to voice out against the long ingredient list but it does not necessarily mean they write off the products. If you see Pollya’s comment, she actually voiced out against the long list but she mentioned that she wants to try their products. And like for me, even though I’ve mentioned I don’t like the long ingredient list even back in 2010, I still recommend their sunscreen to users who want a certain type of texture, etc. I have reviewed other brands with long ingredient lists and I will indicate that’s a caveat for me but I have also said good things about them if they work for me. One brand is A’Kin. I’ve been using the products for almost a year now. I am 42 and have lupus and have had skin issues all my life. Finding products that I don’t react to has been a life challenge, especially sunscreen. Before I tried Sweetsation Theraphy, I was using vaseline on my face as my moisturizer. Because my doctor told me I must wear sunscreen all the time on my face, I found ST in an ad through Coolibar. Went to the ST sight and started looking at all their products decided to try their sample pack which included the sunscreens. The 50 spf I reacted to (face was flushed and felt like it was burning and I was inside, never made it outside) but the 30 spf was the first that I could use and not brake out into a rash (indoors and then tested it wearing it outside). After 2 weeks of using it, my coworkers commented how much healthier my skin looked. Several friends were so convinced they had to order some too! If I had to pick a favorite, it is the iLight cream. I LOVE it. During the winter especially, my eyelids used to look so dry and chapped and flake. They would actually hurt and feel raw. My eyes look and feel great now. I really like the foaming face cleanser too. I remember the first time I used it and wondered if my face had ever been that clean. It was amazing how clean it felt. Face scrub is wonderful and smells delicious! My skin is so soft, like baby soft after I use it. LOVE IT! I love the day and night cream, but I’m not crazy about the day cream’s cucumber scent. 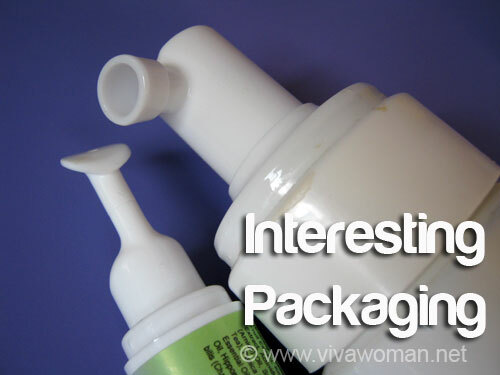 The ingredients list may seem long however, to those of us that have sensitivities, you start to learn what ingredients to watch for to determine if you can even try it. Plus I expect it on products that use organic and natural ingredients. I also suspect there are regulations that require it to be included. If you have healthy skin and don’t have to worry about the ingredients, you are lucky. I’m a very satisfied customer and it’s so nice to be able to buy a product that agrees with my skin. I am very grateful to have a natural product too! Glad their products have worked well for you. 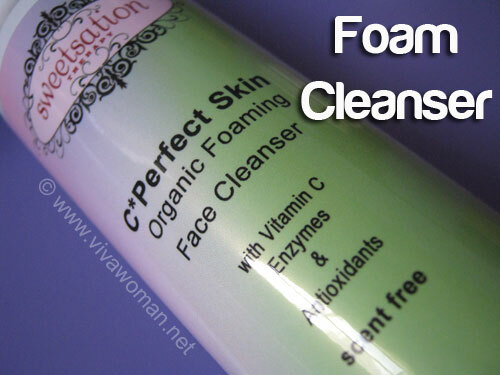 Yes, the foaming cleanser cleanses very well. I tried using the day cream like in 2010 but I never got to review that. It’s okay…pretty light I remember and I kind of like the cucumber scent. Personally, I think the products do perform, at least those I’ve tried but the long ingredient list can be a turn off for those who are concerned about them, yet don’t fully understand them. As a consumer, I get switch off when I read long ingredient list so it would be better if it’s shorter…helps from a psychological standpoint too. Well, it’s good they work for you. What freaks me out a bit, is that… with so many ingredients in each product, won’t there be any chemical reactions between some of them which might lower the effectiveness of the cleanser, lotion and so on? See, it’s things like that which make me go “hmmm”. Btw, I think I’m going back to drugstore brand shampoos if I can’t get the Akin shampoo and conditioner to work out… have been trying out quite a few natural/organic shampoos and all of them were either ineffective for my dandruff or too harsh on my scalp. It’s a shame given that a number of natural/organic skincare products have done wonders for me. Just don’t understand why haircare products are lagging behind in terms of formulation and technology. Miss Vinny: You might need to get some scalp treatment instead of just looking at the shampoos cos dandruff is a problem that you need to rid from the scalp or roots. Ah, my dandruff has been improving by quite a bit of late and there’s only 1 to 2 flakes every now and then. My big problem is the oil slick… ugh. I think I should try dry shampoos or corn starch ‘cos perhaps my shampoo and conditioner are only good at treating my dandruff and not everything. Plus, some of those drugstore shampoos are sure harsh as I just recalled having such an intense oil problem before too. I’d been trying many brands before but I think it’s time I take a better look at my diet. Hi 🙂 was just reading your comment and thought I could share some info with you. Have you tried the Logona range of shampoos? While they’re economical, they do perform as a very simple shampoo which cleans well. Their foaming action is good too. I prefer to use them with Sante’s Brilliant Care conditioner. Together, my hair is kept not only soft and manageable. The conditioner is really amazing because it doesn’t weigh your hair down with lots of oil but it keeps it really soft and wavy. I have dry hair with a somewhat greasy scalp at times. You should try checking them out. I bought mine from Buds Cosmetics. It should also take sometime to normalize the scalp and remove remnants from previous commercial hair products that you’ve been using. Thanks for the suggestions! 🙂 I’ll try the ranges you mentioned when I’m done with my Akin shampoo and conditioner. Thank you for your post. Another great natural brand I’ve learned about. I think I will try a couple of their products. They sound great. Thank you for the discount code too. Is there something I am missing, but why someone would be put off by the long ingredient list? Especially such a treasure trove for your skin… Puzzled. Haha…cos it can become too complicated and difficult to read…at least that’s me. Others have mentioned why in their comments. I’m put off by the long ingredient list too, cos I think that after the first few lines, the rest of the ingredients are 0.00000X% of the formulation, so it’s almost negligible. Yes, baby’s sunscreen can be used by adults too although usually the adult versions have more antioxidants. I read about Herbal Bliss back in 2008 but thought they disappeared for awhile…so they’re still selling MVO’s products. I prefer to get direct from the source in US but like what you say, it’s an option for others. I love their eye cream and the Very Berry Masque! I have also tried the Toner and the Night Cream and can’t say enough good things about them! Would love to have the new Foaming Face Cleanser and the Tinted Moisturizer! Just love this company to death!! Yes, love the Very Berry Masque. I need to take the eye cream for another spin but it seems good based on first impressions. I’ll have one shipped to my friend in the States closer to summer when she returns for her hols. Yeah, the shipping is a little high at the moment but this product is great to try. hmm, can you tell me what’s your favorite eye cream? Do you think sweetsation eye cream is good? Btw, I have experimented your DIY beauty (spices) and I’m happy, they worked for me! My few acne marks disappeared! That’s a difficult question to answer but I would be writing a post introducing some of the eye creams/gels I’ve been testing. The Sweetsation one is pretty good based on first impressions but cos it’s cream based, I would only use it at night. That one was quite nice when I last tried it. It has plenty of antioxidants too. 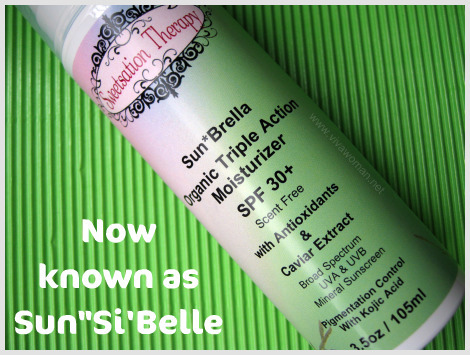 I have tried the tinted SunSiBelle 30+ and I find that it is a good all in one moisturizer/sunblock. I tried the previous formulation of the sunblock and felt that it was a little dry so I had to use a separate moisturizer underneath. So I think that the tinted one is just right for my skin. I don’t find that my skin becomes any oiler in the day but I do use a good powder- Jurlique rose dusting powder. My face looks matt thoughout the day. I really do like the tinted sunblock because it definitely has a brightening effect. I was quite amazed the first time I used it. When I washed it off, my skin was obviously clearer and brighter. The facewash is a favourite of mine. I have tried a lot of natural facewashes but this is the only one that felt squeaky clean but non-drying at the same time. And it lasts for a long time so I feel that it is really value for money. Love Sweetsation Therapy products! Glad that their products work for you. I hadn’t noticed a brightening effect of the tinted sunscreen. Hmm…maybe I will give it a try and see if does for me.